Anyone who truly values their garden will tell you just how important it is to keep it looking in the best possible condition. Those who are lucky enough to have a plot of land outside their home are able to grow fruit and vegetables, flowers and trees and even to host garden parties and barbecues for their friends and family during the summer. Unfortunately, it’s only once you move to a property that doesn’t have a garden when you realise just how much you’d like one; and those who do have a garden and do little more than mow the lawn every now and again don’t see how lucky they are to have their own secret escape outside their homes. A garden isn’t just a bit of grass out the back of your property, it can be a small paved area or even a plot just big enough to allow you to sit outside and read in the peace and quiet after a stressful day, soaking up the sun. It can also be an area that adds value to the property with outdoor space in great demand and a well-maintained garden can make the whole house – and those that live in it – much happier, and more appealing to prospective buyers. 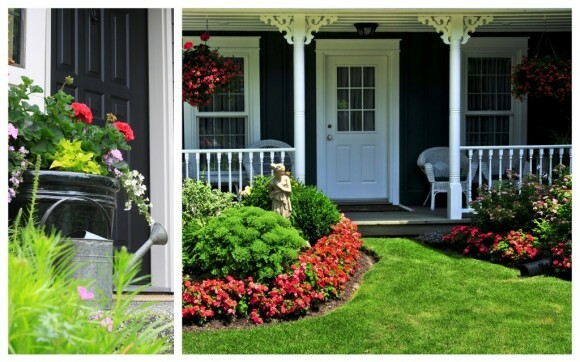 One of the biggest problems for homeowners is trying to keep their garden tidy. You tend to encounter two problems: either your garden is so small that you just have nowhere to keep anything and it looks like one big pile of mess, or it’s so large that you have bits and pieces all over the place and some areas look like wasteland because you just don’t have the time and ability to stay on top of it all. Storage all of a sudden becomes a key concern so that you can put everything in its rightful place, but again, you need to think about what space you have and how much you need to put away. Fortunately a lot of local DIY stores and online retailers like gardenbuildingsdirect.co.uk offer all kinds of storage from wooden structures to plastic, bike stores to log cabins, so that you can choose the most suitable option according to preference, space and budget. You also have to consider the light in your garden. Some smaller spaces, particularly those that don’t have a lawn, can be particularly grey and unappealing, especially if they get very little natural sunlight. To counter this, it may be worth considering some potted plants, those that don’t need to go in the ground in order to survive, which will add colour and style to your outdoor area making it just as appealing as your comfortable living room. Of course, if you do have a lawn, it’s vital that you keep it in good condition. It isn’t all about creating elaborate striped patterns that catch the eye, (although it will add a touch of style), it’s just about keeping it well maintained – like cleaning the inside of your home. Weeds and moss can grow in longer, thicker lawns and once it gets out of control it can be very difficult to reign it back in. If your grass does get particularly long, try mowing it once with the blades slightly higher to essentially trim the top, and then mow it again a day or two later with the blades back down at their normal height to get that striped effect. To keep it looking green, be sure to keep it well watered, although watering in the direct sunlight can have a negative effect so wait until it is in the shade or before the sun comes out if you’re going to use the sprinkler. A decked area might take away your grass, but it can add an all-weather area where you and your guests can sit and relax. Millions of people head outside for food and drink, or just to celebrate the sun coming out (especially in the UK), and a decked area can provide a comfortable area to sit while adding extra emphasis to the bright colours of the grass, flowers and trees you have. It also provides the ideal location to place furniture without damaging the lawn. Finally, you could give everything a general spruce. If you have existing wooden structures such as sheds or furniture, give them a fresh lick of paint or add another coat of varnish to preserve them and keep them looking fresh, while any wooden window frames may also need bringing back to life. It doesn’t actually take a lot of time, effort or money to add both style and value to your garden, it just takes a little bit of commitment and thought. Sometimes it’s the ideas you get from going to other people’s homes or from what you see on the television that are the best; inspiring you to invest in the same or similar and before you know it you’ll be spending more and more time outdoors, lapping up the sunshine – just don’t forget the sunblock! ← Title – Is motorized blinds right for you?